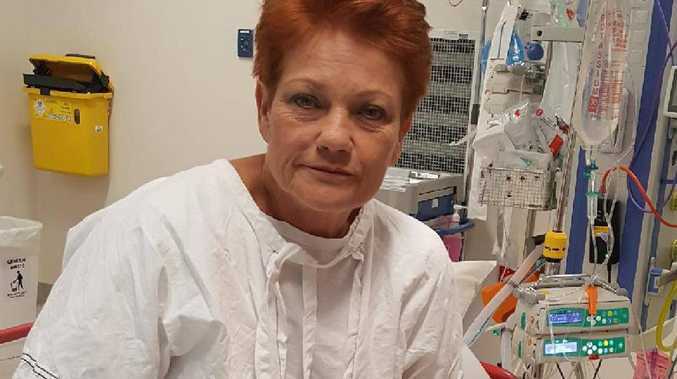 Pauline Hanson was rushed to hospital yesterday and is now recovering in hospital after an emergency operation to remove her appendix. "Over the weekend I felt extraordinarily unwell. At first, I thought it was a case of food poisoning so I just took it easy," Ms Hanson told her followers on Facebook today. "I woke yesterday morning to continued pains in my stomach and decided to see a GP. I was told I needed further scans and blood tests and was taken immediately to the hospital. 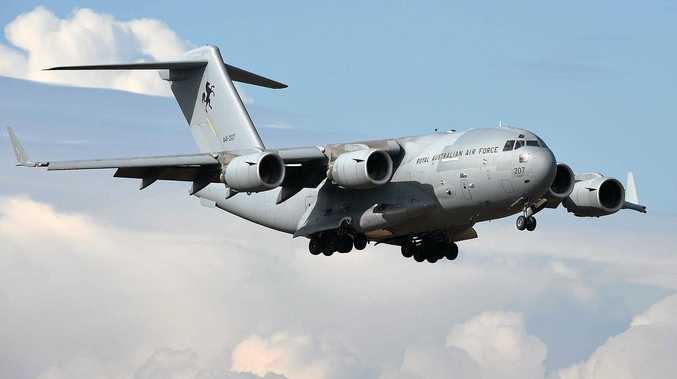 "Surgeons determined I needed an emergency operation to remove my appendix. "Compared to the pain I was in before the surgery, today's pain is a lot less and I plan on being back on my feet tomorrow." It's the second health problem Ms Hanson has suffered recently. 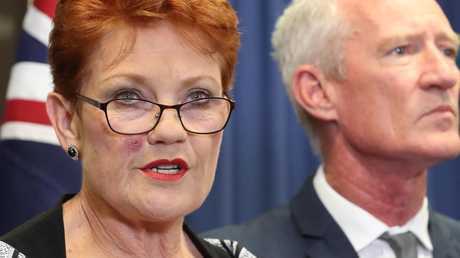 As One Nation scrambled to respond to the explosive Al Jazeera documentary last week, Ms Hanson remained behind the scenes, recovering from a nasty tick bite. The injury on her right cheek left her "unrecognisable" and caused neurological symptoms, including facial paralysis, and she remained under medical care for days. She eventually fronted the media on Thursday, claiming her chief of staff James Ashby and One Nation's Queensland leader Steve Dickson - the central figures in Al Jazeera's undercover footage - had been "stiched up" by a "foreign agent". Ms Hanson unleashed on the Australian media, Prime Minister Scott Morrison, Al Jazeera, Qatar and the undercover journalist, Rodger Muller. "Today is the day of shame on the Australian media, who have been sold a story that is too good to be true. And you took it hook, line and sinker," she said. "Media across Australia have been blinded by hate and bias towards One Nation and myself, and rushed to report on heavily edited footage. "You have come here baying for my blood, and I will not give it to you. I answer to the Australian people only and they will have their say at the ballot box." Ms Hanson said the comments captured on camera by Al Jazeera had been taken "completely out of context". Those comments showed Mr Ashby and Mr Dickson talking about soliciting millions of dollars in foreign donations from Koch Industries, a company which gives to conservative political causes in the United States. The footage also showed them receiving political tips from America's largest gun lobby, the National Rifle Association (NRA). Mr Ashby and Mr Dickson indicated they could weaken Australia's gun control laws, given enough cash. Ms Hanson also appeared on video, and appeared to suggest the 1996 Port Arthur Massacre was a government conspiracy. On Thursday she said the comments were "obviously heavily edited and do not reflect how I feel about those tragedies". "There is no question in my mind that Martin Bryant was the only person responsible," she said. "My belief stands today that he should have faced the death penalty." She labelled Muller, an Australian journalist who conducted the three-year investigation for Al Jazeera, a "foreign agent". She called Al Jazeera an "Islamist" organisation. And she claimed the Qatari government was involved. "This is Australia's first case of severe political interference from a foreign government," Ms Hanson said. "Qatar is a government that enforces sharia law, public floggings, genital mutilation and suppression of women. "This is a political attack by Al Jazeera, in co-operation with the ABC." The ABC aired part two of How To Sell A Massacre a few hours after Ms Hanson's press conference. She said the national broadcaster should ditch it. "If the ABC had any ethical bone in their body, they would refuse to put this unethical and unfair behaviour to air," she said. "The question must be asked, how much involvement did the ABC have in this illegal, covert operation? How much money has the ABC paid, using taxpayer dollars, to organisations affiliated with the Qatari, Islamist government?" Ms Hanson singled out the new ABC chair Ita Buttrose, asking whether she truly believed the documentary should be aired before a "full investigation" by the Australian Federal Police. One Nation had earlier referred the matter to the AFP and ASIO. The ABC told news.com.au the documentary was "created, commissioned and produced" by Al Jazeera. "Al Jazeera approached the ABC about the documentary and we acquired the broadcast rights according to our usual procedures," an ABC spokeswoman said. "The ABC assesses all content on its merits, ensuring it is consistent with ABC editorial policies, including recognised standards of accuracy, integrity, impartiality and fair and honest dealing. "The matters covered in the Al Jazeera program, including Australia's gun control laws, are of national public interest. "The ABC judged it was clearly in the public interest that Australians had the opportunity to see this material for themselves. "The reaction of the Australian public to these revelations has supported that decision."